Sell Cloud Powered Digital Transformation Services Globally. Looking for sales consultants who can engage in selling Analytics driven Business Automation & Digital transformation initiatives for businesses enabled by cutting edge IT Technologies & Cloud based Software solutions to achieve the same. Address the needs of a 250Bn global market by selling competitive cloud powered digital transformation solutions. Organisations today are finding it difficult to deploy inhouse talent for their digital transformation projects that are agile in nature. Someone who is very passionate about emerging technologies - Cloud, IoT, API Economy, ability to get a view of business processes across most of the divisions in an organisation. Someone who has been an entrepreneur at some point who has seen all the challenges of a businesses can easily identify and translate the pain point of a client to a software solution. Sales is about integrity, understanding of customer needs and translating that into a value driven solution. So in short you need to be industry specific, knowledge of the problem and how Carmatec's custom solution can help them solve. Or even simply an outsourced cost reduction model to onshore programming can be a simple pitch. The ability to generate high value sales depends purely on your knowledge. 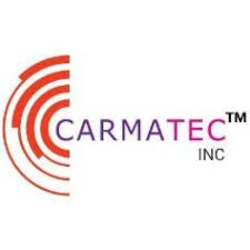 Carmatec as a company can work with multiple models.